Creativity is what makes people be outstanding in their profession. Whether you are an artist, a writer or a student you rely greatly on creativity. 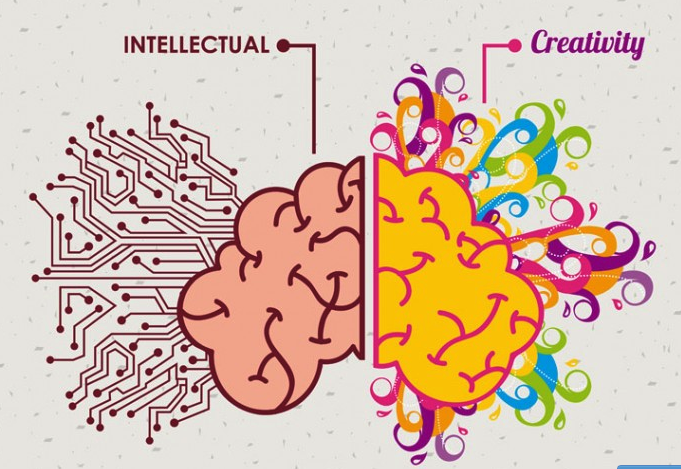 Creativity is maximizing the power of the mind to come up with something new; maybe great lyrics to a song, a project idea or a genius start-up business plan. Creativity on its own is not a skill one can control. That’s why sometimes you may feel creative and other times, you are just empty and flat. But one thing is certain, all of us could perform better in whatever we do by maximizing those creative moments. For your creativity to grow, you need the right environment, the right nutrients, rest, comfort and stress relief. People are more creative when in the right environment. Since it takes creativity to solve a problem, it is certain many disciplines can’t function without it. Therefore for a constant flow of creativity, you might need to use nootropics. Nootropics are natural and synthetic drugs used basically to boost creativity and improve memory. With the presence of nootropics, lack of creativity has become history. Nootropics stacks are supplements taken with nootropics to give users a cognitive boost in achieving better focus and memory. Since no single part of the brain is responsible for creativity, the use of nootropics stacks help in affecting different parts of the brain. The best nootropic for creativity will be revised in this guide. In its performance. It fights anxiety and boosts creativity profusely. It’s crucial that if you strive to be creative, you must learn to manage anxiety and this is what Aniracetam does. Aniracetam creativity is an AMPA modulator. It helps AMPA receptors to work more. AMPA receptors are excitatory receptors that control memory and mood. Also, Aniracetam helps to increase blood flow to the brain. When it happens, you are bound to experience an improved smoother and holistic thinking. Aniracetam boosts the communication between the two brain hemisphere, thus helping people who naturally rely on logic to get a greater contribution from their artistic personalities. Dave Asprey has stated that it is one of the only racetams that he takes and uses it because it increases his creativity and improves the input/output processing speed from his own personal experience. Aniracetam supercharges creativity and boosts your cognition in numerous ways like having a vivid and sharper vision. Some other benefits of Aniracetam are heightened memory, enhanced learning abilities, reduction in stress and clear thinking. Side effects of Aniracetam include a mild headache. To get stronger results you need to combine Aniracetam with different supplements. Best nootropic stack for creativity with Aniracetam is any of Racetam supplements, Piracetam and Oxiracetam. If you are interested in learning or reading more about aniracetam we have a much longer article here. Sulbutiamine is a nootropic derived from Vitamin B. It was first developed in Japan. Sulbutiamine is a synthetic module more potent than ordinary vitamins. Also, Sulbutiamine has been proven scientifically to improve memory. With a good memory, you would be more creative and have where to draw more information from. Stamina and endurance level greatly improved. Sulbutiamine has rare side effects which could be reversed when stopped. Most common side effects of sulbutiamine are sleep disruption and suppressed appetite. Sulbutiamine is not recommended for long-term use as it could lose its effectiveness. Noopept sulbutiamine stack that yields tremendous results with Sulbutiamine is Noopept, L-Theanine, Alpha GPC, Ginkgo Biloba and Pramiracetam. 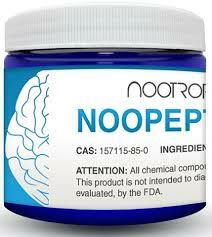 Noopept is an excellent form of a synthetic nootropic known to boost imagination and improve focus simultaneously. Noopept is one of the greatest and the most effective nootropics available in the market today. Another name for Noopept is N – phenylacetyl – L – prolylglycine ethyl ester, a synthetic Nootropic molecule. The production of acetylcholine in the body is inhibited, giving your brain a boost. Noopept though extremely potent has an unusual side effect. Users complain of experiencing a mild headache. Other side effects are stomach distress, loss of appetite. If you want to use this nootropic, it’s better to use it sparingly. To potentiate it better, exercise after consumption and have plenty of water during your work. Best Nootropics Noopept Stacks are Alpha GPC, Citicoline and Piracetam. Sulbutiamine and noopept have something in common as both are synthetic nootropics supplements. Noopept is said to be more 1000x potent than Piracetam. Phenibut was first developed as far back as 1960. It was created with the intention to treat common mental health issues such as depression and anxiety. But through the years, it has been greatly improved to be effective in boosting creativity. Substances present in Phenibut stimulate dopamine receptors which improve your feelings and mood. With Phenibut, a lot of people are able to tap into their creative side. It’s advisable to take Phenibut sparingly as it is addictive in nature. Phenibut Stacks known to boost creativity are Alpha GPC, Phenibut, Omega-3 and Bacopa Monnieri. Coluracetam was developed and synthesized by Doctors in Japan in 2005. It was originally created to treat people suffering from Alzheimer’s disease. Research has shown that Coluracetam has other users. It can be used as a choline uptake enhancer. Coluracetam makes a person more sensitive to external stimuli, causing one to see things in fresh new ways. Another vital function of coluracetam is that it improves memory and learning abilities. It helps you to master new skills easily and then use them in exciting ways. Induced headache is the only known side effect of Coluracetam. Coluracetam Stacks belong to the Racetam family of nootropic supplements. Coluracetam works well with choline source such as Alpha GPC. Piracetam is a nootropic supplement that was first developed in 1964. Other nootropics present today belongs to the Racetam family that was originally modified from Piracetam. Piracetam is known to greatly improve creativity, enhancing writing abilities and also improve verbal fluency. Piracetam supplements allow users to explore their creative abilities in thinking outside the box and forming new ideas and improve upon the existing ones. Piracetam is great for improving your memory and learning. Piracetam helps you to relax and be confident in front of an audience. You’ll also feel comfortable to write and talk without holding off. You’ll also notice that words will flow naturally between creative and logical thinking. Phenylpiracetam is a Piracetam stack you can use to spice up your creative abilities. This supplement has an extra molecule added to it, which allows blood-brain penetration to be achieved much more easily allowing greater effects. People who have taken piracetam complain of having a mild headache and this could be reversed by taking Piracetam sparingly. To learn even more about Piracetam click here. In conclusion, creativity is something that can help you get optimum results and also do exploits in many ways. If you are creative enough, you stand a better chance of accomplishing more and you’ll be excited to think in new exciting ways. Employers are always on the lookout for people who are creative and problem solvers. Not sure which nootropics stack for creativity to take, consult a licensed physician. It is important to always consult a physician before and after taking any new drug, supplement or diet. They are known to offer the best advice when it comes to health and medical advice. You can also develop your own best nootropic stacks for creativity by combining different nootropics to get the best results that suit your biology. Start by picking 1 supplement or 1 simple stack and begin from there. To create your first stack and see the list of all synergistic effects, get dosage warnings and get adherence reminders, we recommend you try TrackMyStack by clicking here. What are the most effective nootropics that you can try? Nootropic supplements are also known as brain boosters and cognitive enhancers because of their ability to enhance mental performance and produce various positive effects to the brain. This includes improved speed of recall, heightened mental energy, improved short-term and long-term memory, enhanced mental clarity, and improved concentration. These supplements may also improve the communication between neurons, thus enhancing their overall effectiveness and could promote a much healthier brain. This leads to better executive function, enhanced fluid intelligence, even more creative thought, and improved problem-solving. This means not all nootropics are taken “when you need a boost” but can be taken as a “vitamin” for neuroprotective reasons as well, think about it, if you can take a supplement for your body, why not to a larger extent for your brain as well. There are a lot of clinical cases where some of these nootropics have helped and they include: attention deficit hyperactivity disorder (or ADHD), Parkinson’s disease, dementia, Alzheimer’s disease, as well as age specific cognitive decline. These benefits are the reason nootropics are being widely used by many people, for some, many times throughout the day. Below we list our top 10 supplements (& drugs) that may be of use to you. CONSULT YOUR HEALTH CARE PROVIDER BEFORE STARTING A REGIMEN WITH THESE. Consider this article a guide for beginners to get know about what’s out there and what their functions are. There are many types of supplements available and this may be overwhelming for those looking to start. We wanted to make it easier by listing the top nootropic supplements in order of most potent and most effective nootropics to “least” in our top 10. Least is in quotes because different supplements provide different benefits and have different side effects. By no means is this list comprehensive. What is it? Modafinil is a smart drug that enhances energy levels and alertness – particularly in individuals who do not usually get enough sleep. User reports suggest that it gives them the desired mental energy boost that they need better than caffeine and other stimulants do. Hence, it has gotten to be well known for off-label use as a focus enhancer. Modafinil is clinically prescribed for individuals who suffer from sleep disorders such as obstructive sleep apnea, narcolepsy, among other sleep related conditions. What are the benefits of Modafinil? Modafinil has appeared to help individuals stay alert and focused, and additionally clear their mind, if they lack sleep or are sleepy. Researchers have effectively demonstrated a relationship between the utilization of this medication and retaining intellectual capacity in a sound state against variables such as absence of sleep. Be that as it may, not every one of them could associate Modafinil to a change in psychomotor capacity in human test subjects. Regardless of its beneficial outcomes on concentration enhancement, focus and short-term memory, it hasn’t demonstrated huge enhancements in cases that concerned healthy adults with attention deficit hyperactivity disorder (or ADHD). Then again, the same condition found in kids appeared to benefit from the utilization of Modafinil to the same or more prominent degree as methylphenidate, the prescribed medication of choice for that purpose. Noopept is primarily used to enhance learning capacity, memory, and concentration. It is known to be one of the more potent cognitive enhancers and considered to be much more effective than most other synthetic nootropics especially when compared to other racetams. What are the benefits of Noopept? This supplement provides numerous benefits related to the synaptic activity of the brain. It works by stimulating the AMPA, Nicotinic, and NMDA receptor sites inside the brain. This leads to increased activity of certain neurotransmitters such as Acetylcholine, Glutamate, Serotonin, and Dopamine. It is thought that these combined actions are the reason for the wide range of cognitive benefits. The most well-known benefit of this drug is it’s ability to significantly increase working memory and memory consolidation. Other benefits of Noopept include improved reflexes, enhanced learning ability, better mood, enhanced sensory perception, reduced anxiety, better overall mental performance, and logic processing. Adrafinil is a drug that works very similarly to Modafinil. It works by boosting a person’s energy and promote mental alertness. As a matter of fact, many individuals use Adrafinil if their country does not legally approve the use of Modafinil. While as Modafinil is a controlled substance, Adrafinil is not, it metabolizes in the liver to form Modafinil. It can be a bit harsh on the liver for this very reason, so it is not advised to supplement this drug frequently and if done so, your liver enzyme levels should be monitored closely. What are the benefits of Adrafinil? It contains most of the benefits that Modafinil has and is primarily utilized as an energy-boosting and off-label Nootropic. It also has the ability to enhance cognitive performance and memory. 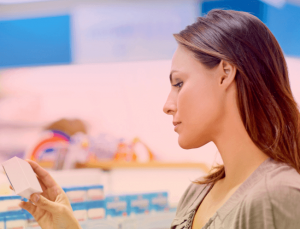 Experts recommend to use Adrafinil on occasional basis in order to avoid the occurrence of side effects that may result following long-term use. Pramiracetam is an “advanced version” of Piracetam, it’s mechanisms of action too is very similar, it includes binding to Acetylcholine receptor sites in the brain and inhibiting their desensitization in order to increase the action potential of the neurons. 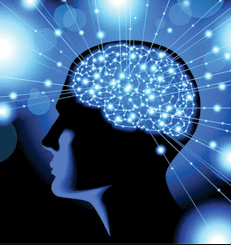 Pramiracetam is one of the most powerful Nootropic supplements available. It has a very high bioavailability and is a fat soluble racetam and is noted to have long half-life. What are the benefits of Pramiracetam? Pramiracetam is known to be one of the “purer” Nootropics. Some of its known benefits include enhancing learning capacity, increasing memory, focus, attention span, and concentration, and improving overall brain energy. Taking pramiracetam powder produces very little effects on anxiety and mood levels. Like pramiracetam, phenylpiracetam is also an “advanced and stronger” version of Piracetam. It contains a Phenyl molecule group attached to the original Piracetam and is known to be 60x more concentrated. This is why Phenylpiracetam provides better benefits may be a considered a step up from Piracetam. What are the benefits of Phenylpiracetam? Phenylpiracetam is known by its ability to help improve general tolerance to stress and cold. According to its user reviews, Phenylpiracetam could increase a person’s memory, focus, learning capacity, concentration, attention span, as well as mental energy. Additionally, it helps enhance physical performance, promotes intense focus, and improve workout recovery times. Sulbutiamine was originally synthesized in Japan, it is a synthetic version of Thiamine (or Vitamin B1) and is primarily used to enhance the overall energy levels of the brain. Sulbutiamine is not really considered a “true” Nootropic; however, it seems to go very well with other supplements that is why it is commonly stacked as part of a larger nootropic regimen. What are the benefits of Sulbutiamine? Sulbutiamine helps a person relax and promotes a feeling of general well-being. It improves the ability to concentrate and focus as well as enhancing attention span. Aniracetam belongs to the Ampakine family and is considered as a Racetam. It has the ability to provide mood boosting effects and reduces the levels of anxiety and stress and thus it is known as a potent anxiolytic. Aniracetam could greatly benefit those who suffer from depression, social anxiety, and other mood disorders. What are the benefits of Aniracetam? Some of the benefits of Aniracetam include improving focus, memory, and attention span. Aniracetam is not considered a CNS stimulant. However as a user it’s common to experience a initial boost of energy followed by feelings of relaxation. It is said this nootropic also increases memory Input and Output (I/O reference: Dave Asprey), meaning it helps with recall and speech fluency, however consider this anecdotal. What is it and what are its benefits? Huperzine A is a herbal nootropic that is widely used by people for it’s ability to help inhibit an enzyme that degrades the learning neurotransmitter, acetylcholine. It is derived from a plant called Huperzia Serrata, which is abundant in China. Acetylcholine is one of the most important neurotransmitters in our body as it helps improve numerous cognitive functions and processes and enhances memory. What is it and how does it work? 5-HTP is a chemical that is synthesized in the human body via L-Tryptophan and is converted into Serotonin inside the brain. Like acetylcholine, serotonin is also among the most important neurotransmitters since it is also responsible in promoting normal sleep patterns and regulates mood. It could also prevent over excitation of the brain and helps with better focus. Choline is a substance that can be found in small amounts in various types of food products that we consume every day. It is one of the basic components for any nootropic/cognitive enhancement supplement stack. Choline sources such as Choline Bitartrate, or CDP Choline function as a direct precursor for the production of Acetylcholine, thus it is important to supplement or consume it via food to make sure you have adequate levels. What are the benefits of Choline? Some studies show that choline could better potentiate the effectiveness of various nootropic drugs. Headache are considered to be a common side effect following the intake of racetams, a depletion of choline could be the culprit. 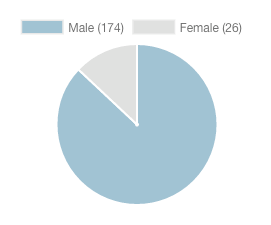 Although it really does depends on your own biology, as it could be many other factors. Many will have you believe that you must supplement choline with any racetam and that is simply not the case. It should be consumed “as needed”, a little trial and error will you determine the right dose, but stay within the suggested dose on the label. 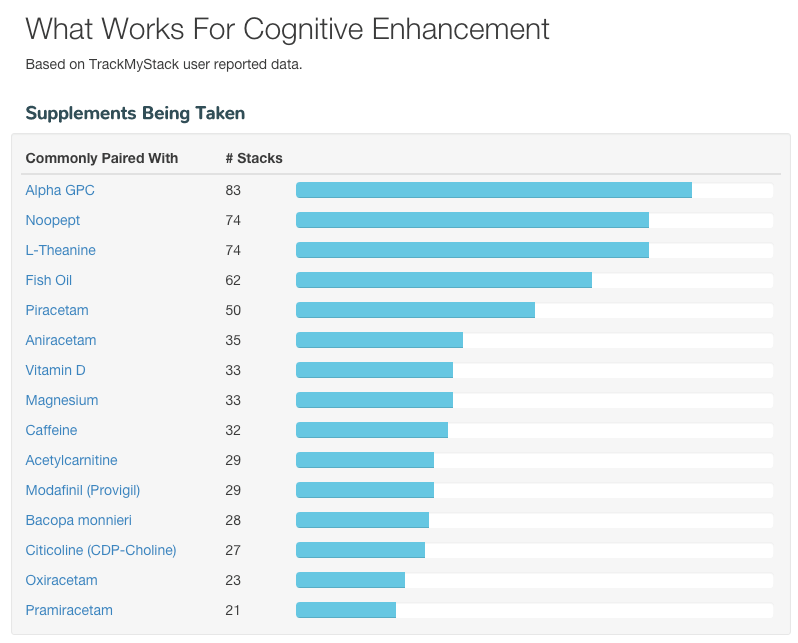 Our users are taking the following nootropic supplements for cognitive enhancement, this report is updated live and can be accessed here to view the live version. 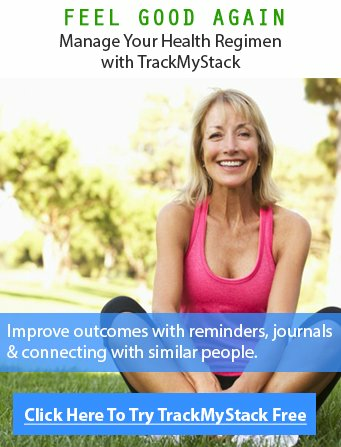 TrackMyStack is a simple tool designed to improve your health and reach better outcomes more efficiently. Whether it is a health goal like improving focus and memory or managing a symptom, we provide the tools necessary to track and improve your health faster-using regimens we call stacks. Reach your health goals with supplement plans tailored to you. We help you maintain a stack that is safe and optimized to help you reach your goals quickly. You can create stacks for weight loss, managing stress, improving your sleep and your mood, and even health conditions. Take the product tour here.